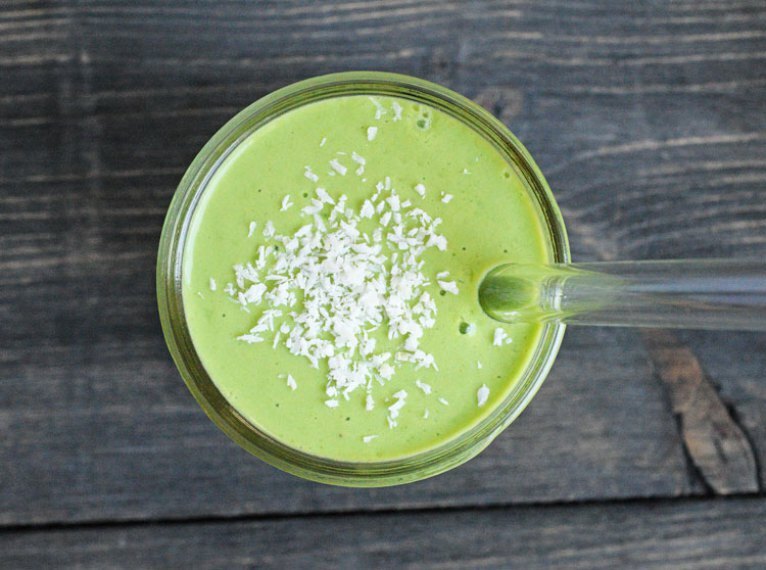 Green smoothies are getting all the praise these days and rightly so. They’re a great way to get your daily dose of nutrition, including bone healthy vitamins and minerals. Bananas: They not only give your smoothie creaminess, but bananas are also rich in potassium, calcium, magnesium and vitamin K, which all have the ability to strengthen bones. Almonds, almond milk or almond butter: Almonds contain 75 mg of calcium per serving! 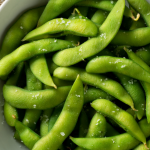 They are also jam-packed with vitamin E, protein, manganese, magnesium and boast antioxidant properties. Flax, chia or hemp seeds. All high in dietary fiber, flax, chia and hemp also boast bone healthy qualities. They can easily be added to any green smoothie. You may be curious about the difference between blending and juicing. In short, juicing is when you separate the fiber from the fruit or vegetable. While blending means you are consuming everything – you blend all your ingredients together and there is no separation. The answer depends on you! Your lifestyle, your personal taste preference and what supports your health more. Blending and juicing can increase the amount of daily veggies you consume: Most authorities recommend 6-8 servings of veggies per day. The reality is, most of us are not getting enough. But green smoothies and juice are easy ways to increase the amount of veggies you are getting, daily. Blending and juicing can expand your horizons for new foods: Do you tend to eat the same veggies day after day? 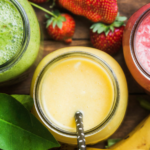 By blending and juicing, you can choose a wider variety of vegetables (which will help with veggie rotation) and gives you a chance to try foods you normally wouldn’t eat. Bone Strengthening: Veggies like kale and collard greens give you a healthy dose of calcium, vitamin C and manganese – all bone-supporting nutrients. An Energy Increaser: When you juice or blend your fruits and vegetables, your body can utilize the nutrients immediately. You will often feel energized shortly after. Personally, I go for green smoothies more often than a juice. They’re simple, easy – and the clean up is way less than juicing (especially when you’re making them at home by yourself!). Plus, I like that I’m also getting the fiber from the fruits and veggies. Limit Fruit. 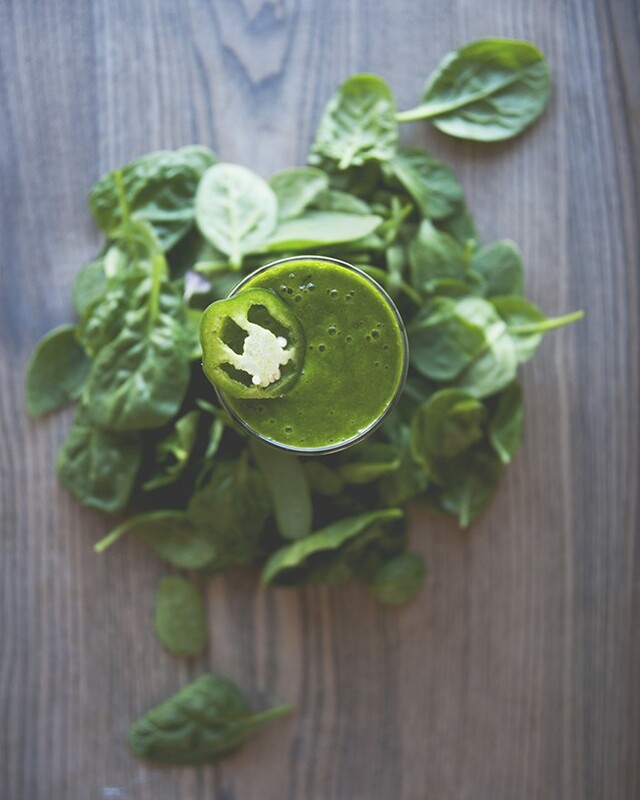 When it comes to your bones, greens are ‘the all mighty’. You want to add a little fruit to your juices, but it’s important to be restrictive. Adding too much fruit can increase the calories and sugar. Something you don’t want. You can add some berries or a bit of apple to your juice for some flavor, but the majority of your juice should come from fresh organic veggies. Add Herbs and Spices: Turmeric root, ginger and mint are great additions to your juices. Not only do they add healthful antioxidants, but also potent anti-inflammatories. Good for your bones and overall health. Lemon and Lime. Adding half a lemon or lime to your juice will help stabilize blood sugar. They also cool and alkalize the body. It’s amazing how often we overlook the health benefits of citrus fruits. Experiment: Have some fun with your juicing. Add fruits and veggies you normally wouldn’t eat and try new combinations. Eating and drinking should be joyful! One of my favorite things about green smoothies is that they’re easy. Within minutes you’ll have a fiber-filled meal with the bone-building nutrients you need. 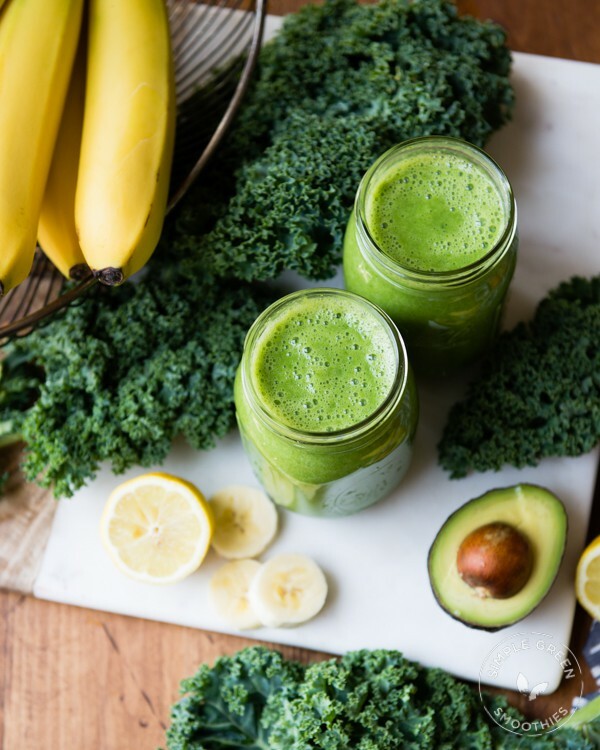 What you need to become a green smoothie superstar is a blender, your ingredients and a few different recipes to keep on rotation. 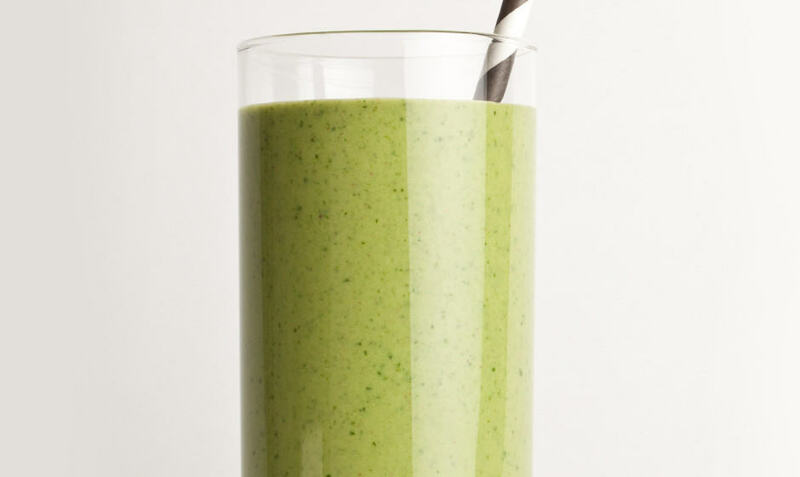 The following are some of the top green smoothies I think you’ll enjoy. Blend in stages. Pour in your liquid and greens first and blend. This will help to avoid green leafy chunks. Then add your remaining ingredients and blend. Make smoothies ahead. Because we all have busy lives, simplify yours! You can blend your smoothie and keep it in the refrigerator for up to two days (in an airtight container to keep it as fresh as possible). 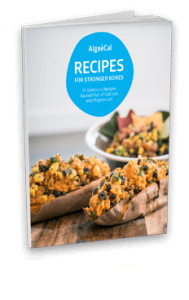 Are you interested in more bone healthy recipes including breakfasts, dinners, salad and more? 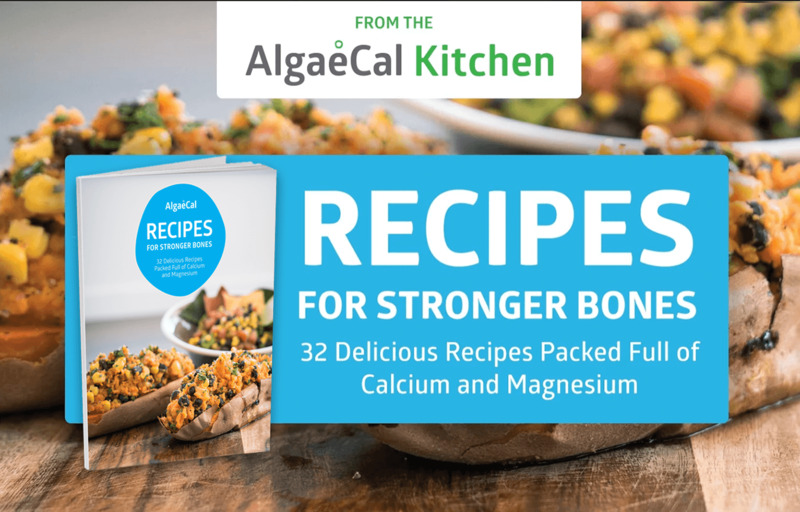 Download our FREE Recipes for Stronger Bones Ebook below! 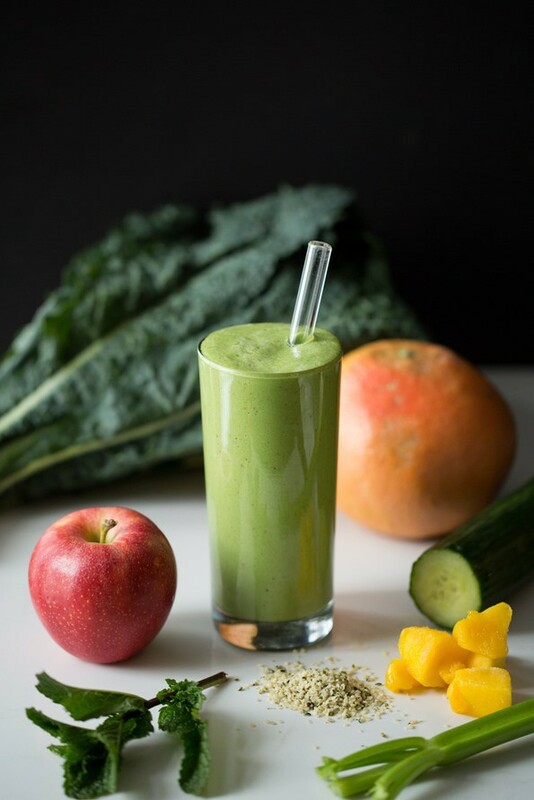 A green smoothie is a smoothie that is blended with dark leafy greens such as kale, spinach or collard greens. It can also include fruits, supplements and healthy fats like coconut oil, avocados, and nuts. Green smoothies also fall under calcium-rich drinks, as green leafy vegetables tend to be high in dietary calcium. And when you include almond milk, kefir or yogurt – you’re also boosting your calcium content. In short, yes! 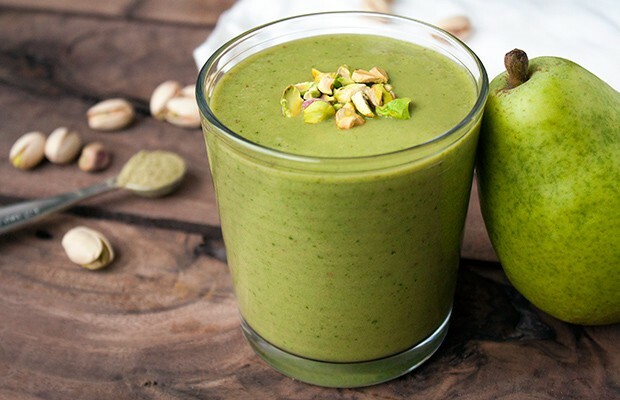 Green smoothies are an easy and delicious way to include more greens in your diet. 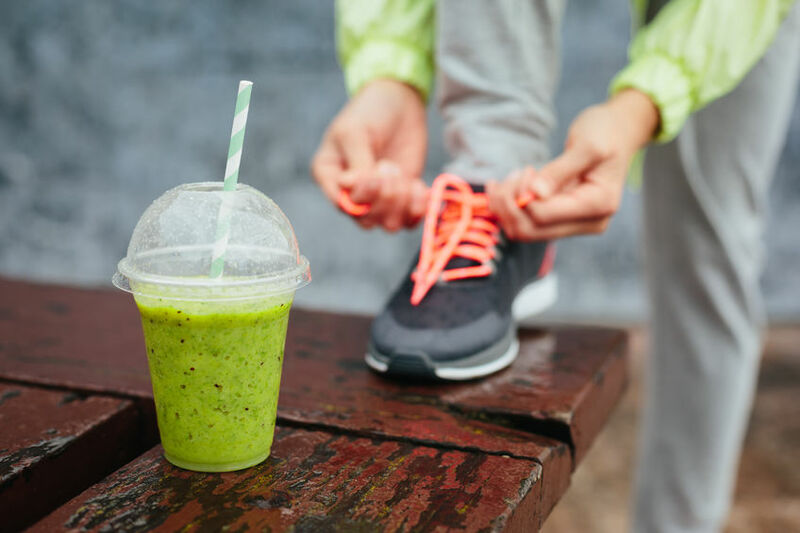 Having your greens blended into a smoothie may also improve digestion as it takes less effort for your body to break down and convert into energy. Can I freeze green smoothies? How can I get my kids/grandkids to like green smoothies? Include bananas for creaminess and berries for sweetness. This will hide the veggie taste and give your smoothie a deep red or blue color – not green! Include them in the process! Let them add the ingredients to the smoothie (with supervision) and watch as they become blended. They will love it. Try colored cups for green looking smoothies. This way, they will not be worrying about the color of the smoothie and instead focus on the taste. suggestions for better vitamin C? Our Triple Power Omega 3 Fish Oil is a fantastic source of this antioxidant. Know that someone will be reaching out shortly to discuss your purchase and any further questions you may have.